Before I go off on my little rant, I would like readers to know that I don't know everything to the full extent. This is from the perspective of a player and fan of the game. Forged To Fight was a game I immersed myself into because characters were becoming too hard to earn in the Contest. Back when I used to play, characters were earned by coming in a certain position in arenas. However, FTF doesn't actually feel that much different compared to the contest. When I first got into this game, I searched for an official youtube channel and to my luck, I found it. 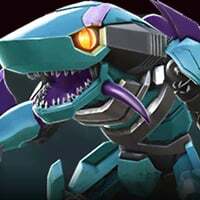 At the time, the latest bot to drop was Jazz and it got me excited for the game. 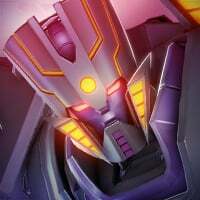 Now, I look at it in shame as the last video was a showcase for Megatronus. Comparing this channel to the MCOC channel, they get updates, character spotlights, announcements, and all sorts of news. FTF? Meh, we have some character showcases. That's the reason this game is dying down. The lack of communication between the players and the developers kills the game. This is true for most, if not all games on the market. Without communication between both parties, the game dies. I've seen multiple videos and posts about the need to increase rewards or to fix obvious issues like the infamous Waspinator exploit. We've heard nothing from Kabam other than "Coming soon" and "We have big things planned!" yet we've seen neither. They're just beating a dead insecticon at this point. What I think Kabam should do is hold a forum post that's either bi-weekly or monthly so there's at least SOME type of active communication. Even if the devs say they don't have anything special planned for the next month, it'd be better than letting it stew in a soup of Cesium salami and Beryllium baloney. Players are leaving because Kabam is doing nothing with this game and are watching this burn to the ground. New bots? The players find out in the game before a forum post is made! Kabam adds the bot before the post is actually made which slows down hipe in my opinion. Adding the post before the bot gets people excited for what's to come. Yet Kabam decides to take the last two days of the month to add it. 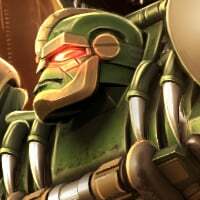 MCOC is getting champions left, right and straight down Cyclops' eyes. FTF? Meh, we get something every month. It's not even someone that we wanted, though a nice addition. Kabam is skating on thin ice by not adding the Warpath everyone wants by delaying it with randoms like Megatronus or Cyclonus. While the following claim may never hold weight or actually happen if I were to have a seat in this mod-board, I'd overhaul the news section and actually keep some type of communication between players and devs. One of the reasons COD WW2 didn't immediately die is because Sledgehammer actually had a forum where they communicated with the player base! A game that was thought to die didn't just because of simple communication. While a mobile game can't exactly be compared to a big name, all I have to say is "Infinite Warfare". What's to take away from this? Frickin communicate with the playerbase Kabam! That's the whole reason this game is dying! Just give the players what they want to a certain extent (obviously). Increase the rewards, fix known issues, and just frickin communicate with us! I think if you use the word rant in your post, Kabam will close it down. lol it's been about an hour since I posted so I doubt it. Then again, maybe they're offline doing not their job. They've just closed "is the game dying". Out of courtesy, they may refrain from closing multiple similar threads in one day. I’m sure we’d all love to know where the terms of service is that he was talking about. That rules from mcoc are most likely same as rules in tftf. But which terms are being talked by him? Fun fact, when this game was in beta, there was a monthly or bi-weekly post by Mike talking about the development and updates of this game. It was really neat stuff as you got to see what was going on behind the scenes. They stopped it after a few patches when the game was officially released on April last year, which is really unfortunate. I even made my first forum post addressing that. Seems like problems just got worsen after the anniversary update and this game took a complete backseat whereas MCC got their full attention. Kabam doesn't care about this game any more. It deserves to be run by a better company like FoxNext. 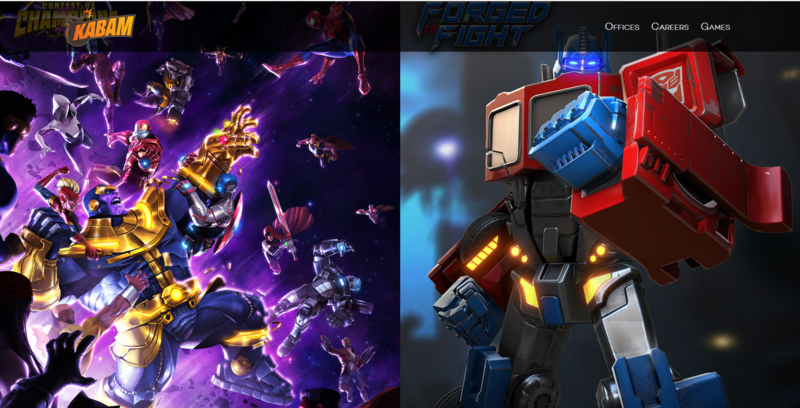 I mean, look at Marvel Strike Force! 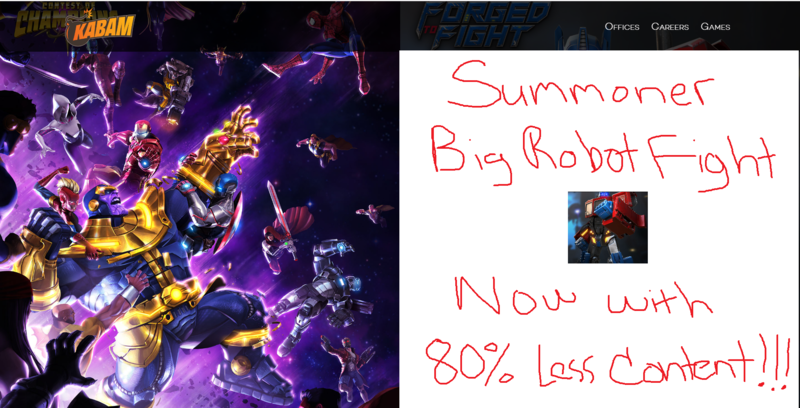 It's a totally different game, I know, but it's gone through a lot of issues and kind of flipped up, while FTF is heading straight to the ground and Kabam hasn't a bit of will related to saving it. With the way things are going kabam is probably going to close a lot of threads. I dont even think they care of our feedback and whenever there's a big bug or something they are lazy to act upon. Kabam must act better and actually listen to us. I don't hate kabam but I am annoyed at them. "Is the game dying? ", "Game Development", "Why Are You Still Playing This Game? ", "New content please Kabam", "Is Marcelo still making splashscreens for this game? ", "Do you guys even purchase Deals and Bundles? ", "KABAM NEED TO SORT IT OUT". "Update is the right of all sentient players"
The conversation is getting a little volatile, but rather than close the thread for becoming non-constructive, I'd rather say a few things to hopefully get it back on track. When we say "we can't say anything until it's ready to be said," there's a reason for that. The most common response we get is "just reassure us, say SOMETHING, that's all we want." When someone posts on a thread that's being followed, there's a notification. We know you're anxious to hear what's next, what we're working on or what we've got in store. We share that passion; we're just as excited to give it to you! But those notifications can be misleading or disappointing if we don't actually have anything to share, if we're just essentially saying nothing. Worse yet, if something changes or doesn't work out between when we share the information and when it's finished, then we've got egg on our faces because we've set an expectation that now cannot be met. I know it's frustrating to hear, but we want to make sure that when we make an announcement or confirmation, we're giving complete, accurate and up-to-date information. Additionally, we have rules in place for a reason--it keeps the discussion focused, keeps the contents of the forums family-friendly, and allows for constructive exchange of information between our Teams and the Community. We don't arbitrarily censor things because we don't like what's being said, but how it is said is important. When a post violates our rules, we take action, be it closing/deleting the thread or providing the poster with a warning or, in extreme cases, a ban. We hear you. We are grateful for and appreciate constructive feedback. We learn from you, and we're elated when we have things we can share with you--it's a great feeling when we can drop some info and we see the excitement and discussion spring from it. We are grateful for and appreciate the passion you show for our game, and we know you're anxious for updates and info--we want nothing more than to give it to you! But please understand that in order to prevent misinformation, false expectations and/or misunderstandings, we have to be very careful about the information we share and how/when we share it. Please don't think our caution is indifference, that our hesitation is apathy. We genuinely do care. Soooooo when's act 4? or maybe you know just a wink or something lol. Why do I have the impression that this very long post is just an expansion of the simple sentence "We have nothing to share for the moment"? Why isn't it possible that MCOC's forum posts about whatsnext can be here? You see the only two games Kabam is responsible for, side-by-side, equally represented. Yet if you go to each individual website, you start to get a very different picture of that. Once you see how much attention one game is getting over the other, it becomes hard to divorce the two games from each other, since they're both run by you guys; both side-by-side there on your website. So yeah, even though we know that your kind words you just posted here are earnest and sincere, we're past the point of receiving those kind words. For many players your well-intended post feels like a comforting hand on the shoulder while the other hand is fondling our wallets to gauge if there's enough cash left in them to continue to carry the game a little longer without providing any meaningful new content. That's how bad things are right now and I don't think kind words are going to fix that. We're past the point of kind words. Kind words were for 7 months ago. Long overdue action is what we need now. Go and check any of the innumerable threads on here that talk about what the players want to see (most of it is surprisingly able to implement) and just pick one and get started on it. I don't even care what it is at this point. Just don't be surprised if we don't trust you right away to say you're going to be implementing it. Because, remember the T4 Knight Crystal you guys talked about 2 months ago? Where is that, by the way? It's an in-game, currently existing resource determined by an RNG. Are we to believe that it's taken over two months to design and implement a simple crystal asset? I would've expected that to have been one of the first things to do because it's so freakin' simple. The fact that we haven't seen it though tells us your focus is on the left side of the website where that other game is (in fact a quick look at the Note from the Developers confirms that). So much so that a simple implementation like a crystal can go ignored for two months. So yeah, please forgive us if your words of reassurance here don't sound all that pleasing to many of us. No, like I said, we're at the point of only action right now. Action in the form of new content is what we need or else we're just going to continue to believe the rumor that you have no plans for this game and it really is going to shut down next year. With each passing day it's becoming more and more believable when we see how stagnant this game has become over the past 8 months while at the same time Kabam continues to churn out salable content that has completely wrecked the fine balancing required to keep a game like this healthy and financially stable for a long-term future. All of this put together screams "we're cashing out, going out of business, everything must go!" because it makes zero sense to release that stuff Kabam is selling before any new challenging content has even come out. At first many of us thought that kind of content would be releasing at some point in the 7.0 iteration, but the moderators have made that abundantly clear that nothing like that is even in the works. So what are we to believe has been going on in that whole 8 month period of time? As a player, taking all of this that I've mentioned as a whole, what would you believe @Kabam Custos? And I'm asking that in all honesty. Would you think this game had a viable, healthy future ahead of it? We want to believe in you guys because a lot of us were here at the beginning and saw all the raw potential this game had. It's what has still kept us here, but those who have remained are losing faith quickly because nothing is happening and it looks like it never will. At this point, many of us are just hoping you guys can find a buyer for the game who will give it the attention it deserves and you guys can get on with doing whatever grand plans you have for MCOC. So yeah, sorry for the long-winded post, but you really need to know that your post doesn't mean anything to us anymore. There's been too many other posts just like it in the past and no action to back them up either. Get some actionable new game content going that you can tease in a 30 second video spot and we'll start to change our tune and sing your praises once again. Exactly why I made this.Us as players need a little more than a "we'll get to you when we have info". Even if they were to say "We have something big planned, but we don't know when we'll release it." is better than "We'll get back to you." It's better by so many miles and Kabam would rather take the lazy way out. We get updates so last minute and it, personally, ends up being so lackluster. 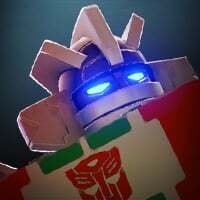 The last time I actually got hyped for a character was Wheeljack, that was entirely because of personal bias. If we don't get enough news about the game, hype goes down and eventually, so does the player base. Staff, all we ask is an actual forum post that we can actually criticize. It seems your biggest problem is either the lack of content or the fact your player base is dying. If a post about future updates, with even the smallest of hints about what's to come, the player base might slow its decline. As an ally leader I am having hard time maintaining players. They are cutting spend, late to AM, or retiring from bordem. They have all seen the repeat cookie cutter response of we will share news when ready. But there has been no news for 8 months after those playcated repeat messages begging the playe base suspicion that there is no content development. 1) How hard is it to rotate bots and mods on AM map the way spotlight maps are recycled? Refresh AM awards to make AM balanced with other game modes rewards? 2) Deliver on published promises in a timley manner. 3) Interact with summoners here. I wish Kabam would just sell the game to a company that would actually put an effort into building the game. It is so obvious that they are coasting TFTF into the grave. What a dis service to the game and to us. @Kabam Custos we're not blaming the forum admin/mods for lacking announcements, even because you guys are very interactive and share your opinions in discussions and polls. Our anger is with the Kabam development team itself, people who should be equally divided into the sectors of TFTF and MCOC. But apparently, ever since April, 80% of the TFTF crew jumped off to MCOC, which quite explains the game's lack of content. We don't want you guys to give us something new (fake), we want the developers themselves to give us something new, because we're tired of the same splashscreen and new Bot every month system. It's boring and causes this game to barely survive, while MCOC has Dungeons, AW, Challenges, exclusive Champions, devolper's thoughts, interactive society events, etc. @Synthwave 's comment quite explains our feeling, as the number of "Agrees", "Likes" and "Awesomes" demonstrate. I’m sure there would be people who would complain that Kabam is so lazy that they reused the art from spotlight. What if they have been developing stuff but for some reason it's not coming out the way they want it to? Listen, at this point I’ll take it lol.